LISTED $215,000 BELOW RECENT APPRAISAL! 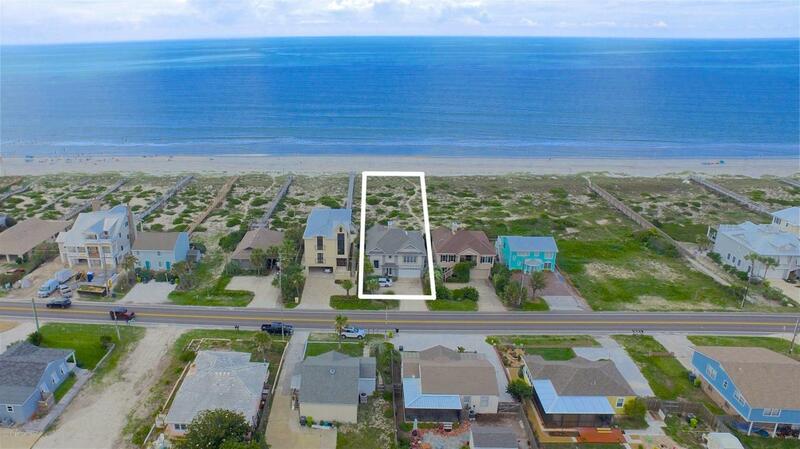 LOWEST PRICE PER SQ FT SINGLE FAMILY DETACHED OCEANFRONT HOME ON AMELIA ISLAND! Spacious beach house with large yard for entertaining! MONTHLY RENTALS AUTHORIZED! IDEAL LOCATION just a block from Seaside Park, Sliders, and nearby shops and restaurants. 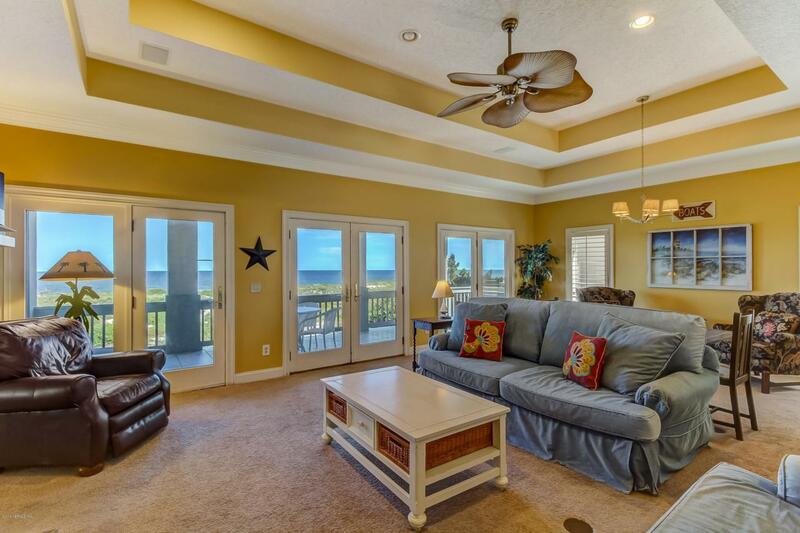 This 4 bedroom, 4 bathroom home features 2,693 square feet of bright, open living space overlooking the ocean. Recessed lighting, crown molding, and plantation shutters throughout. The kitchen features stainless steel appliances, center cooking island, breakfast bar, and breakfast nook. The dining room & living rooms, complete with trey ceiling and wood-burning fireplace, have French doors opening to the large covered balcony - perfect for al fresco dining!The upper-floor owners suite has large windows capturing gorgeous views. The owner's en suite features separate vanities, walk-in shower and soaking tub. 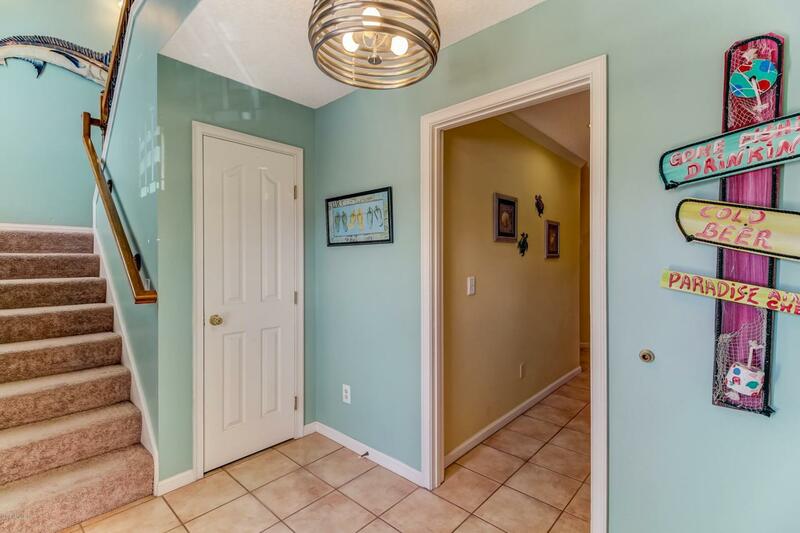 Three additional bedrooms, two baths, and a family room with wet bar complete the downstairs. Large backyard with private pathway to the beach & ample room for a pool.